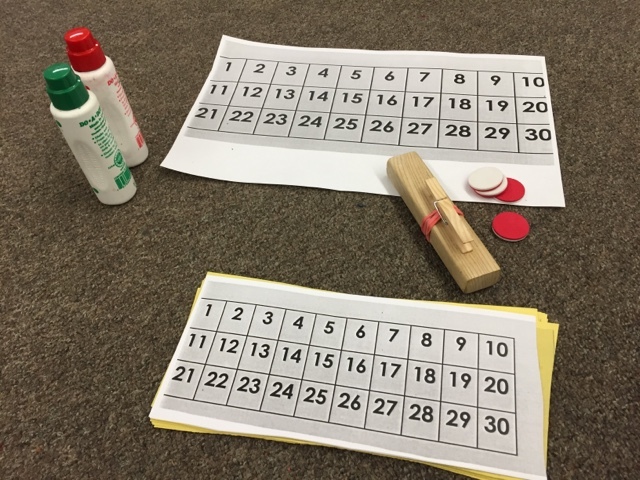 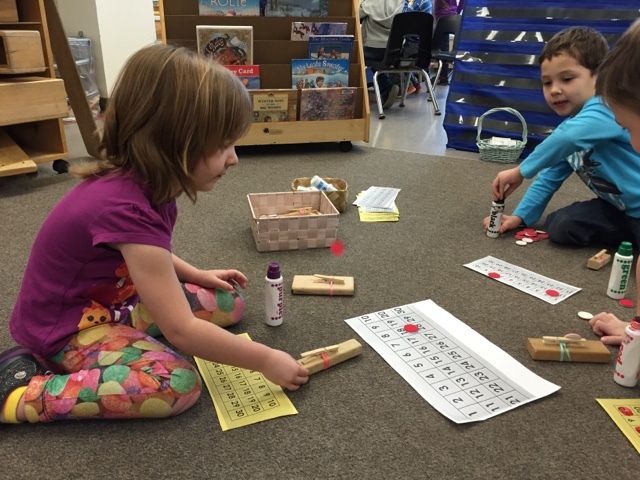 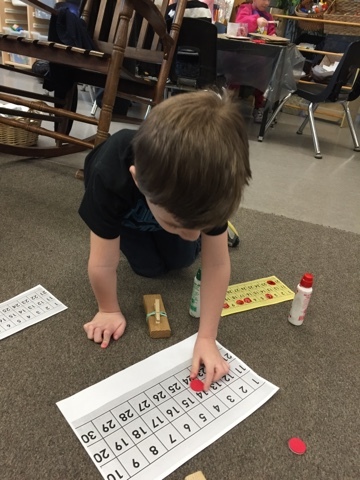 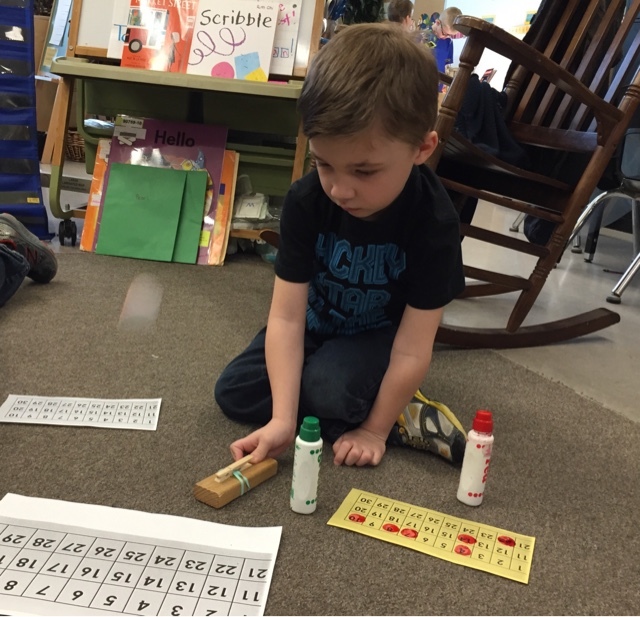 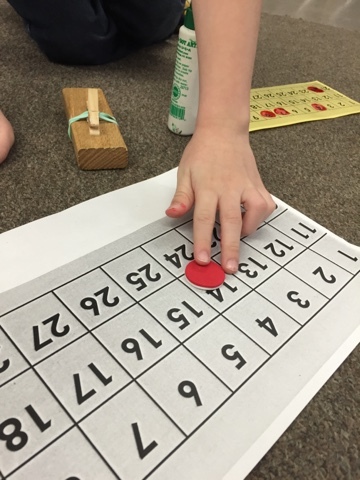 We used our fun mini catapults today with a number chart to play a game of number bingo! 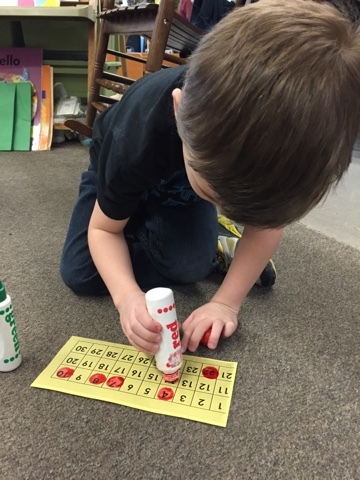 Match it on your bingo card and stamp it! 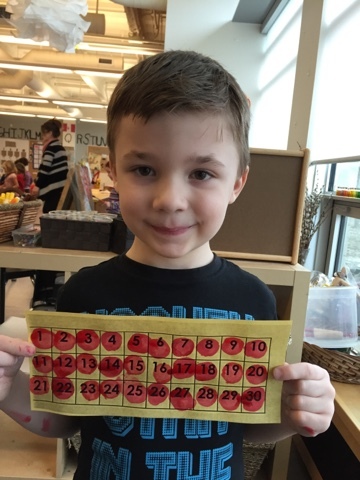 First with a full card wins!